Password-protect anything! Create members-only pages, special-priced shopping cart items, private event calendars, and more. 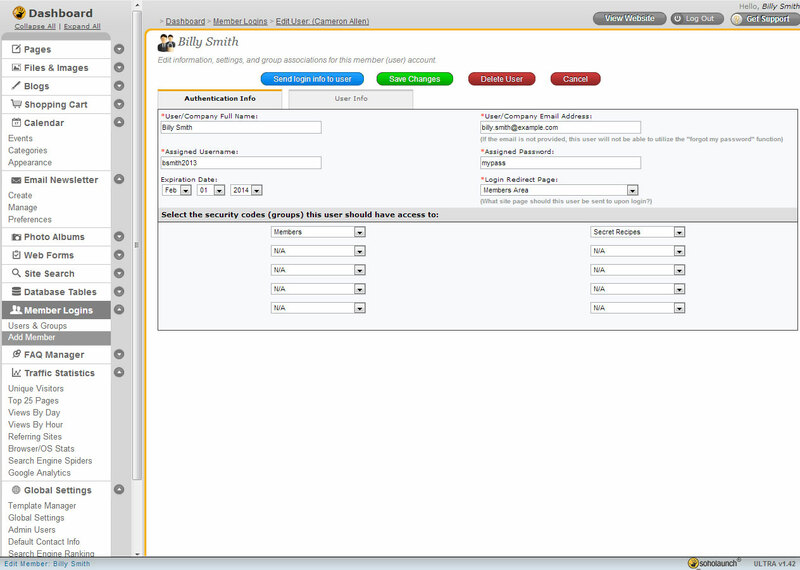 In addition to extensive user-management functions, the Member Logins feature allows you to create multiple levels of access through user-defined security codes, or "groups". Restrict access to virtually anything: Site Templates, Shopping Cart products and categories, Event Calendars, and all features therein. Organize users into groups with different "clearance levels"